RIVIERA MAYA, Mexico /PRNewswire/ — Adding golf to your all-inclusive experience at THE ROYAL Playa del Carmen or the Gran Porto Real Playa del Carmen has never been easier or more rewarding. Now guests at both luxury resorts can enjoy special credits at one of Playa del Carmen’s most sought after golf courses, The Golf Club at Playacar. The challenging 7,144 yard course was designed and built by renowned golf architect Robert Von Hagge and features a slope rating of 148 from the championship tees. It is a beautiful and challenging course combining breathtaking views of the Caribbean and dramatic terrain. Guests of Real Resorts’ adult-only property, THE ROYAL Playa del Carmen, can enjoy a complimentary round of golf when booking a three night minimum stay in the two upper suite categories: The Presidential Suite or a Gran Master Suite. Additional rounds of golf can be added at a 50% credit and guests in other suite categories, or for shorter stays, can also enjoy a 50% credit on golf. Guests at the family friendly Gran Porto Real Playa del Carmen will also enjoy a 50% credit on all golf at Playacar when they stay in either of the two upper suite categories: the Gran Master Suite or the Gran Beach Junior Walk-Out Suite. Golf at Playacar includes complimentary shared use of a golf cart, greens fees, and food and beverage on the course during play. Course fees normally range from $140 to $190 per round, but guests of THE ROYAL Playa del Carmen and Gran Porto Real (in qualifying suite categories) will enjoy a 50% credit paying fees of only $70 – $85. Both resorts are offering 20% early booking discounts valid through March 25th. Reservations and air-hotel packages for both resorts can be made through a travel agent, tour operator, or 1.800.760.0944 or at www.RealResorts.com. Discover an explosion of luxury and romance around every corner at THE ROYAL Playa del Carmen. This casually elegant adult-only, all-inclusive beachfront resort is the jewel of the Rivera Maya with breathtaking views of the turquoise Caribbean. Yet its beachfront location is only steps from Playa del Carmen’s famed Fifth Avenue. Discover hip night spots, trendy cafes, vibrant shops and the local color of this fishing village while experiencing THE ROYAL’s flawless hospitality. Luxurious accommodations include a wide selection of ocean view or oceanfront suites including 44 brand new Upper Category Suites and unique Swim-Up Suites for the ultimate in romance and privacy. Each guest suite features signature ROYAL Service® and amenities that include complimentary in-room dining, spa-style bathrooms, a private double in-room Jacuzzi, 11 gourmet restaurants, chic bars and intimate lounges. For recreation take a dip in one of the Resort’s many pools, relax on the beach, enjoy complimentary water sports, or visit the Resort’s holistic SPAzul. And for an extra touch, The Romance Concierge will help make sure every moment is memorable: from private candlelit beach dinners; to rose-petal strewn suites; to a couple’s massage. The fabulous, all-inclusive Gran Porto Real Playa del Carmen is a family favorite. Located on the white sand beach this resort features ‘Kids 12 and Under Stay and Eat Free’ when sharing a guest suite with two adults (up to two children in a Family Suite and up to three children in an upper category suite). In addition teens under 17 enjoy a 40% discount when sharing an adult guest suite. Choose from a large selection of well-appointed guest suites, including the popular Family Suites with bunk beds for kids. For family fun there is a special Kids Club and the T-Zone for teens. Families enjoy the kids check-in with a right-sized registration desk, and children’s amenities that include a kid’s bathrobe and slippers. For more information and reservations or air-hotel packages contact a travel agent, a tour operator, or 1.800.760.0944 or at www.RealResorts.com. Each of the artists on LOS TRES TOUR has a stellar recording and touring career of their own, so the tour is more than a concert, it’s a history making event; the biggest showcase of Regional Mexican Music and Mexican pop ever. Each show is an opportunity for fans to see individual performances by three of their favorite artists and also see them as they join each other on stage to perform some musical surprises. The artists share mutual admiration and respect, but this is the first time that all three have shared a headline tour. Mexican superstar Alejandro Fernandez is one of the few Latin singers that enjoys extraordinary success singing both ranchera and pop music. This week alone, he tops both the pop and regional charts with his most recent dual disc release, Dos Mundos. Fernandez has had innumerable Number One hits in the U.S. and throughout Latin America and Spain, and has sold more than 18 million albums along the way. With 20 studio albums recorded, many which have gone multi-platinum, along with a Star on the Hollywood Walk of Fame and numerous Grammy and Latin Grammy awards and nominations, Fernandez is considered one of the most talented and successful Mexican singers ever. 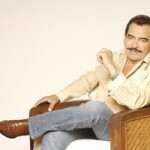 Producer, Singer songwriter Joan Sebastian is one of the most influential Mexican performers of all time. He is the winner of three Grammy awards, five Latin Grammys, and multiple Latin Billboard awards including a Billboard Hall of Fame. With 37 albums to date, many of which have been certified platinum all over the United States, Mexico and Latin America. Sebastian has been able to maintain a successful, solid career and has also written and produced hundreds of songs for numerous artists, most recently, Alejandro Fernandez. His critically acclaimed jaripeo performances are renowned; last year’s performance at the Staple Center was sold out with over 16,000 people in attendance. 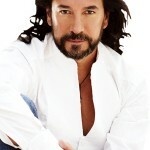 Mexican born Marco Antonio Solis is one of the most important and successful singer-songwriters in Latin music, and his compositions, recorded by himself and covered by scores of other artists, have literally shaped the direction of Latin music in Latin America and the U.S. As the leader of the most influential group of its time, Los Bukis, and as a solo artist, he has recorded over 20 albums and written over 300 songs, had numerous Platinum albums in the United States, Mexico and Latin America, plus had a string of radio hits, many of them having reached the No.1 position on Billboard’s ‘Hot Latin Tracks’ chart, making him one of the few artist who has enjoyed tremendous success in both the pop and regional charts. Additional tour and ticket information can be found at LiveNation.com. Live Nation Entertainment is the world’s premier live entertainment company, consisting of Live Nation, Ticketmaster and Front Line Management Group. As the world’s first artist-to-fan vertically integrated live entertainment platform, the company is improving the fan experience and driving major innovations in ticketing technology, marketing and service. Live Nation is the largest producer of live concerts in the world, annually producing more than 22,000 concerts on behalf of 1,500 artists in 57 countries. In 2008, over 50 million fans attended Live Nation concerts, and the company drove more than 70 million unique visitors to LiveNation.com and other online properties. Ticketmaster Entertainment serves more than 10,000 clients worldwide in multiple event categories and sold more than 141 million tickets valued at over $8.9 billion on behalf of its clients in 2008. Live Nation Entertainment is headquartered in Los Angeles, California and is listed on the New York Stock Exchange, trading under the symbol LYV. For additional information about the company, please visit www.livenation.com/investors. Hollywood, CA January 29, 2010— Daniel Bruhl and Mia Maestro have been set to star in Bobby Moresco’s (‘Crash, Million Dollar Baby’) upcoming film: ‘Castro’s Daughter.’ Moresco will be directing the larger-than-life, true historical drama; and co-wrote the screenplay with Pulitzer Prize winner, Nilo Cruz (‘Anna in the Tropics’). Paz Vega is in talks to star in lead role. The portrait picture chronicles Fernandez’s life, which parallels a larger story of the revolution, up until her escape—which made worldwide headlines when she fled on an airplane disguised as a Spanish tourist. Fernandez was the product of a love affair Castro had, before the revolution, with Natalia (Naty) Revuelta, who is said to have been a driving force of the revolution that put Castro in power for nearly half a century. Critically acclaimed, Spanish-born German actor Daniel Bruhl, who recently starred in Quentin Tarantino’s ‘Inglorious Basterds,’ and who has taken numerous awards around the world; and most recently a 2010 SAG award, is also set to star in the powerful supporting role of Eduardo, a childhood friend of Fernandez, who grew through adolescence with her; and later fled to the U.S. Mia Maestro, who is best known for her roles in ‘Secuestro Express’ and ‘Motorcycle Diaries,’ will be co-starring. Jordi Molla, who played in ‘Blow’ with Johnny Depp, is also in talks to star. Alexis Garcia, an agent at William Morris Endeavor Entertainment’s Global Finance and Distribution unit, nabbed representation rights for financing, packaging and distribution. Garcia is packaging the film with ‘Castro’s Daughter’ producer, John Torres Martinez; together they are packaging the production; Executive Producer Joe Lamy, of the Lamy Group, is also heading structuring on the film’s financing and fundraising; Noel Tristan is also a producer. The film is expected to shoot in Puerto Rico sometime late Spring. Coach 14, a French-based sales company, will be selling the film at the Berlin Film Festival. Bruhl is represented by WME. Katrina Bayonas represents Molla and Bruhl in Spain through Kuranda Management. Maestro is repped by ICM. Artists Relations Group (ARG) is an entity formed by John Torres Martinez, and Noel Tristan, specifically for the development and production of Castro’s Daughter. Martinez, the film’s lead producer, picked up the exclusive rights to Fernandez’s story; Tristan and Lamy put the development financing together. Martinez is producing, steering talent and production packaging, managing story rights, agency relations as well as heading PR for the film; with Tristan producing, managing development financing and administration. William Morris-Endeavor Entertainment (WME) is considered one of the most influential agencies in the world, with offices in: Beverly Hills, New York City, Atlanta, Nashville, London, Miami and Shanghai. With an estimated 4000+ clients, the agency represents actors, producers, and directors in every aspect of the entertainment industry. The company is a result of a recent merger between William Morris Agency, which was founded in 1898, and Endeavor agency. A few notable names on the agency’s roster include: Robert Deniro, Mel Gibson, Matt Damon and Martin Scorcese. The company is headed by Ari Emmanuel; who is considered to be one of the most influential agents in the business.